Character Development – Do they have siblings? 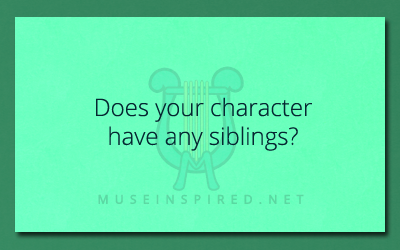 Does your character have siblings? Describe them! Character Development - Do they cook? Character Development - Describe a nightmare your character has never been able to forget. Character Development - What skill does your character WISH they had?